Rock Star music composer Devi Sri Prasad, fondly known as DSP, couldn’t have asked for a much better launch of his Australia, New Zealand tour. 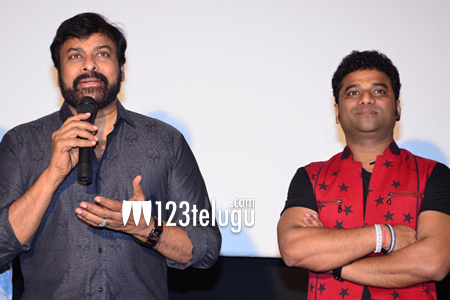 This morning, Megastar Chiranjeevi unveiled the promo video of DSP’s AuNz musical tour. Speaking on the occasion, the Megastar thrilled Devi Sri Prasad by interpreting DSP in his own way. “D for Dedication, S for Strategy, P for Popularity” is Chiru’s definition for DSP. The DSPAuNz tour will kick-start on May 27th in Sydney. Megastar also hailed DSP’s limitless energy and his soft corner for charity and social service through his Sathyamurthy Foundation, an organization instituted after his late father and well-known writer.